Years ago I sat at the back of a room full of agency, government and advocacy reps at a conference on youth engagement. One speaker after another wrung their hands at the challenges of finding young volunteers. Finally, one young man took the microphone. He said, “Youth need money. Pay the youth,” and sat down. Good point! – a point that Tom Clement, Executive Director of the Co-operative Housing Federation of Toronto has known for years. Tom was one of the first people to realize it was not enough to invest in buildings, staffing and governance systems. To secure the future of the co-op housing sector, we needed to invest in diversity, and invest in youth. 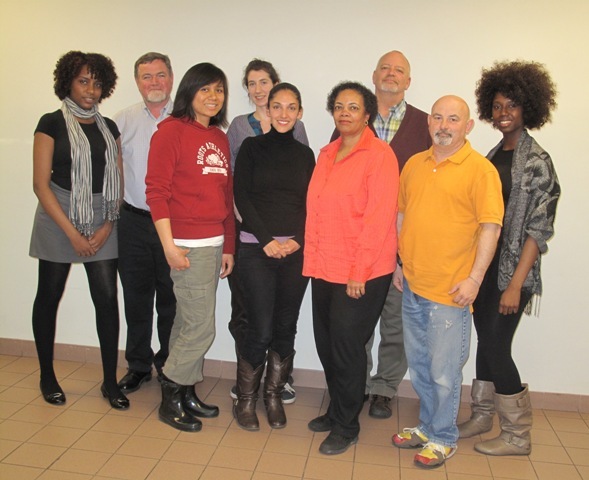 In 2004, the Co-op Housing Federation of Toronto (CHFT) launched its Diversity Scholarship Program. The program started with modest ambitions: to make a difference in one young co-op members’ life each year by enabling them to go to university or college. This year, 27 young co-op members were awarded $5,000 scholarships to attend the college or university of their choice. As Clement hoped, the Diversity Scholarships have indeed “made a difference” in the lives of young people. Since 2004, over $700,000 has been awarded to over 140 scholarship recipients. This fall over 80 students will be attending school on a Diversity Scholarship; another 47 have graduated, and five went on to complete a second degree from Uof T, York, Queens or Oxford. The scholarships are designed to maximize student success. The $5,000 award is spread between four years: $2000 in the first year, and $1000 in the following three years. A partnership with Credit Canada provides students with financial planning and budgeting advice; the YMCA helps students with life skills training, job interview preparation and strategies to get summer jobs. Drop out rates are very low. Those that must interrupt their studies have been able to resume their education with CHFT’s support. Success goes far beyond the benefits to individual students. It’s a success for the entire co-op sector. The CHFT Diversity Scholarships have connected the co-op sector to the wider community. The scholarships have attracted over 30 business and community sponsors. Eight Ontario colleges match Diversity Scholarships with up to $3,000 in additional funding. Guests invited to the spring awards ceremony come back every year. One of those guests, Mayor David Miller, was so moved that he created and continues to fund the Success Becomes You Scholarship for students whose education has been interrupted. Unlike most scholarships, good grades are not the focus of the CHFT Diversity Scholarships. Contributions to the community are. The scholarship creates an incentive for youth to volunteer, but they also affirm the value of community. Recipients volunteer in everything from homework clubs to seniors’ homes. They are also emerging as leaders in the co-op movement, elected to their own co-op’s board of directors. They have also joined the CHFT Board of Directors. Unlike many organizations that muse, “We really must recruit young members,” CHFT’s Board has succeeded. It now has five youth members — three of them scholarship winners . And Cyesha Forde, the first scholarship winner to be elected to CHFT’s Board has completed her term and now, along with scholarship winner Anjala Kulasegaram, sit on the CHFT Charitable Fund Board. Says Tom Clement, “we called it the Diversity Scholarship but it could just as easily be called the Social Change Scholarship. Witness the “Atkinson Revolution.” Atkinson Co-op was Canada’s first public housing conversion, formed in 2003 after Toronto Community Housing (then MTHA) tenants worked to bring resident control to 410-unit Alexandra Park. That may have been the first “Atkinson Revolution.” But the second revolution came when youth stepped forward to rejuvenate a community still beset by cynicism and negativity. CHFT youth worker Esther Forde developed a youth outreach team that knocked on every door. Text messages brought youth to the Annual General Meeting, creating one of the highest voter turnouts in Atkinson’s history. All five members of a youth slate were elected to the Board. Is it any surprise that Atkinson Co-op is home to 35 CHFT Diversity Scholarship recipients? Or that several of these recipients now serve on the Atkinson Board? Or that Atkinson Co-op’s two most recent presidents, Fathi Shek Hussan and Domanique Grant. are scholarship winners? Atkinson is not the only community that needs fresh blood. Can the youth rise up elsewhere? And how can we middle-aged types help? We might start by remembering our own pasts. I became a co-op co-ordinator when I was 24 years old. I bought properties, oversaw the budget and negotiated with government. How could I do it? There were mentors, of course – people in their 30s who taught me what they themselves had learned on the job. But chiefly it was the confidence others place in me. I vividly remember being introduced to a CMHC program officer by the outgoing Co-ordinator. When she skeptically asked, “What experience do you have, Joy,” my predecessor jumped in and pointedly said, “She brings a lot of enthusiasm for the job.” Thirty years later that enthusiasm is still carrying me. The 2011 CHF Canada AGM unanimously passed a resolution encouraging co-ops to recruit young to their boards. Nine scholarship winners attended the meeting. When the resolution came to the floor, there were young people at every microphone. Two regional federations have approached CHFT about establishing scholarships in their areas. The next generation is stepping forward — just in time! Last night I chaired the election at Atkinson Co-op. It is now four years since the election that brought young people into the leadership. The board had been nine middle aged men. The next board brought five young people including two women. The election brought even more surprising results last night. The board consists of nine women and within the board, there are six scholarship winners. The scholarships have had a huge impact on this community. There are now ten scholarship winners that have served on the board. Several of the directors are proud winners of the scholarship winners.